Mr. Stein, a principal with Stein Consulting Group, has more than 30 years of consulting, information systems and telecommunications experience, with a primary emphasis on IP communications and technology infrastructure projects. He is nationally recognized for providing analysis and Independent consulting for essential IT infrastructure including voice, data, wireless, AV, security, data center, mobility and unified communications. Mr. Stein is a joint venture partner of Technology Plus and is a UC Strategies designated UC Expert. 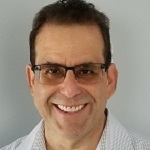 His expertise includes the entire technology lifecycle including needs assessment, process evaluation, operations impact, systems design, procurement and implementation project management for IP Telephony/Unified Communications, wireless, data center, cabling, facilities, LAN, WAN, network management, data security systems, telecommunications, technology relocation and construction projects. He is an excellent communicator and is skilled in dealing with management, facilities and technical personnel within IT and user communities. Mr. Stein has provided consulting services for assessing the effectiveness of IT organizations and developing governance models. Mr. Stein's expertise includes technology planning and business case development for many significant technology infrastructure projects for both public and private-sector clients. Previous engagements have included consulting for professional services firms (i.e. legal, financial), state and local governments, education (university and K-12), high tech, healthcare and entertainment. He is very effective in working with all levels of an organization. Mr. Stein is a member of the Society of Communications Technology Consultants (SCTC). He holds a Bachelor of Science degree in Computer Science from Rensselaer Polytechnic Institute and has completed the 'Leadership and Management for Technology Professionals' program at University of California, Irvine. He speaks regularly at Enterprise Connect on a variety of topics and is a frequent contributor to No Jitter. It's a great time to be a channel partner -- or to be an enterprise IT decision maker working with channel partners. In the mid-market, the need to leverage the cloud, trusted integration partners, and managed service providers is growing in importance. UC, Network Vendors: Buy, Sell, Hold? Enterprise Connect Orlando offers sessions to help guide your enterprise through the communications systems procurement process. As networking technology changes dramatically, it has the potential to radically change how we think about network architecture. Hybrid UC: The Future of Comms? With more hybrid UC offerings hitting the market, a mixture of cloud and on-prem could soon become the dominant enterprise comms architecture. New UC? Old UC? No UC? A look at UC and its evolution from the days of old to today’s emerging collaboration apps.